Towing Equipment There is 1 product. 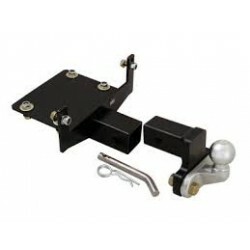 Universal Heavy Duty Front Tow Hitch A front tow hitch that fits to any vehicle with a front winch plate. A front tow hitch that fits to any vehicle with a front winch plate.